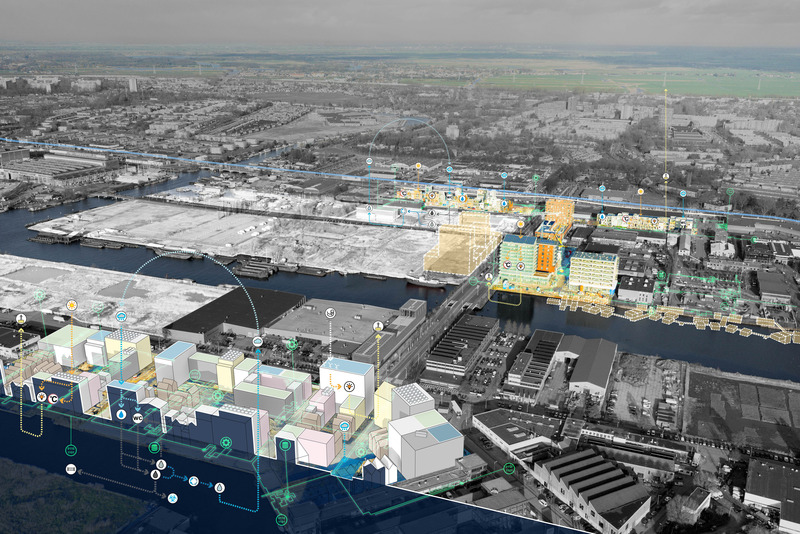 About five years ago, in late 2012, One Architecture, an office for architecture and urbanism, invited The Mobile City, a research group on digital media and urban culture, to join forces in a workshop organized by the Dutch Delta Metropolis Association. Workshop participants were asked to draw up a new vision for the future city: which themes should dominate the urban agenda in the coming decade? What should the next ‘big visionary project’ look like? And how could this be applied to a number of city-regions in the Netherlands? During the workshop, after discussing various current trends in urban planning, we found ourselves turning those original questions around. When we began exploring what this big vision, masterplan or investment project could look like, we found numerous citymaking initiatives that – in a spirit reminiscent of online hacker cultures – had just started to change things in the city that in their eyes needed improving. We found energy collectives producing and distributing renewable energy; projects that turned empty office space into co-working or housing spaces; and loosely organized citizens using social media to improve the livability of their neighborhoods through collective action. Sometimes these collectives were organized by informal groups of neighborhood residents; more often they were initiated by professional designers, architects or other professionals who were embracing a new approach to their profession. Rather than waiting for new masterplans to appear, they organized collectives of various stakeholders around the issues they deemed urgent. Their impromptu character does not mean that these initiatives are not visionary. Like many hacker cultures, many of these citymaking initiatives are searching for alternative value systems that could underlie urban planning. Some are actively seeking to catalyze societal transformations, for instance in the domain of renewable energy. Others center on the notion of the commons: the city as a set of resources that are collaboratively owned and managed. In a world where public services and resources have been increasingly privatized, they seek to bring these resources back into the public domain, reclaiming a citizen-based ‘ownership’ of the city. Could, we found ourselves arguing, the sum of all these initiatives make up the next visionary project? Taken together, they could potentially make the city more resilient, innovative, livable, and social. Rather than approaching the city as a tabula rasa, these initiatives are interested in continuously improving the current city. Local initiatives could quickly identify local issues to address; small-scale initiatives could test out new approaches and technologies and scale them up when proven successful. And their collective and collaborative approach could also bring ownership of the city partly back to the citizenry. So, at the end of the workshop we formulated our vision, or ‘urban imaginary’, of The Hackable City: a city in which new media technologies are employed to open up urban institutions and infrastructures, to improve upon them in the public interest, in practices of collaborative citymaking. We found the ‘hacking’ metaphor a productive one to address the initiatives we had found, and to explore the opportunities as well as the challenges they offered for collaborative citymaking. First of all, the spirit of many of these initiatives resembled the ethos found in many online hacker cultures. They playfully appropriated existing city infrastructures, improving upon them in a process of learning-by-doing and the pooling of resources. Rather than envisioning grand projects, many of them are about cleverly making do with what’s already there, organized around collectively set agendas. And when they do embark on more ambitious projects (e.g. the development of an online collaboratively authored encyclopedia) they do so in a spirit of collaboration towards a common good, in an open process in which knowledge is shared and participants continuously learn from each other. Second, the actual practices organized by these initiatives can also be understood as ‘hacks’. They appropriate – often in a playful manner – existing infrastructures and technologies and take them beyond their intended uses, sometimes into legal grey areas, in order to improve upon them. This brings out a third resemblance: hackers often work in the context of, but sometimes in opposition to existing (computer) systems. Some of these systems may welcome hacks and are easy to improve, for instance by making their source code readable and understandable to outsiders, by offering an architecture that allows for plugins, or by offering their data through APIs. Other systems are proprietary and try to fend hackers off. Because of this, their ‘hackability’ may be limited. In citymaking, similar relationships unfold. Some city governments or institutions may welcome civic hacks, inviting collectives to contribute towards all kinds of processes, and making city resources available; others may be more wary, preferring to fall back on time-trusted internal procedures and procurement processes geared towards other institutional players. Using ‘hackability’ as a counterpoint to ‘hacking’ immediately brings out the relationship between collective initiatives and the institutional contexts in which they operate. Finally, hacking is also an interesting metaphor because of the role that digital technologies play in many projects – not, usually, in a prominent way, but more as an almost mundane set of tools that enables these initiatives to get off the ground. Online platforms – varying from Facebook to ‘home-grown’ content management systems – have proved to be useful tools for collaboration, resource pooling, knowledge sharing, crowdfunding, coordination of actions, community engagement, campaigning and so forth. Sensors and the use of (big) data have helped to map out the issues themselves as well as providing opportunities for intervention. The individual contribution and consumption of shared resources can be measured and rewarded, and administered through new locally coordinated mechanisms such as the blockchain. Digital media technologies, in other words, have made it possible for these collectives to organize their ‘city hacks’. They offered new ways to effect social organization and economic exchange, as part of an emerging ‘network society’. Following these lines, our imaginary of the hackable city is intended to be productive in the debate about future cities in three ways. Firstly, the hackable city can be understood as a normative urban ideal centered on collaborative practices of citymaking; an ideal to strive for. Secondly, in order to strive towards such an ideal, a more systematic empirical understanding of collaborative citymaking practices is needed, including possible points of intervention. The hackable city can serve as a model with which to map, discuss and plan collaborative citymaking practices. And thirdly, the hacking metaphor also brings out a particular outlook on citymaking. It can be used as a reflexive lens with which to critically investigate our own ideal of citymaking. What new issues does the ideal of the hackable city bring up? For instance, to what extent are these examples of hackable citymaking inclusive, that is, representative of society at large, and how can they be legitimized in a democratic political system? In a research project that followed the workshop, we started to further address these issues surrounding the hackable city. In a year-long research trajectory situated in the Amsterdam-based urban living-lab and brown eld redevelopment site of Buiksloterham, we further explored the opportunities as well as the challenges presented by the rise of new media technologies for an open, democratic, collaborative citymaking process. We explored these themes through observations and interviews with stakeholders, workshops, the introduction of a number of ‘design probes’, and by taking part in various local meetings about the development of the area. Buiksloterham is particularly interesting for us, as its traditional development model had been severely hampered by the financial crisis of 2008, opening up opportunities for new players. With traditional developers pulling the plug on some of their projects or being unable to get the financing off the ground, ‘self-builders’ and collaborative building groups filled the gaps they left by starting to construct their own homes. One Architecture itself is active in this area, including by leading one of these collaborative building groups. 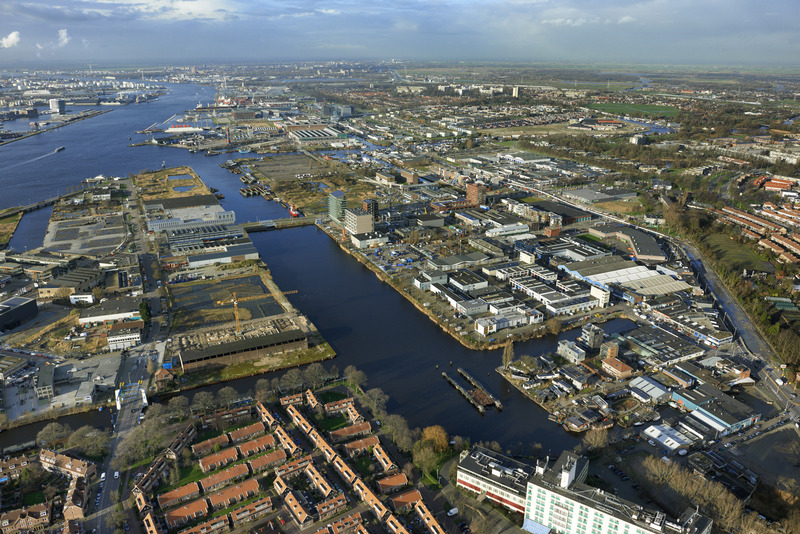 Numerous actors in the area share the ambition to further develop the area collaboratively and in accordance with the principles of the circular economy. At various scales, actors are experimenting with new and innovative technologies and processes, with the aim of shaping the city in a resilient and sustainable manner. This cahier will further discuss our imaginary of the hackable city as we have developed it since the initial workshop ve years ago. In the first section we will explore its normative dimension: why would we want to strive for a hackable city? In the second section we will present our model of the hackable city that can be used to further analyze and understand examples of hackable citymaking. The model can also be used as a springboard for further discussions on the various challenges related to hackable citymaking. In the subsequent Cahier #2 Design Probes for the Hackable City in Amsterdam Buiksloterham we introduce the design probes we have introduced in Buiksloterham and share the lessons learned from these experiments. In addition, Cahier #3 The Hackable City International: lessons from Athens, Sao Paulo and Shenzhen presents findings on related practices in citymaking in these respective major cities. These cahiers will be followed by an edited academic volume in which researchers from various countries around the world analyze international examples of hackable citymaking in more detail.